Hasler Homes Ltd provides professional contracting and construction management, specializing in high-end homes, renovations, and additions in Vancouver. Focusing on quality and attention to detail, the Hasler Homes Team aims to provide customer service and a home that leaves your expectations as a homeowner, surpassed. As custom home builders, we are with you from start to finish. From project management, design decisions, to framing & forming and choosing trades, Team Hasler has a collective goal to ensure that your needs as a homeowner are fully realized and your expectations surpassed. Greg Hasler developed his skills and vision while working as a foreman for an internationally-renowned company. During that time, Greg contributed top-level work on some of the most prestigious homes in the city of Vancouver. In turn, he has quickly become known for his quality control, overseeing each project as he would his own home. 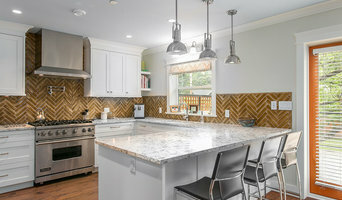 Twin Lions Contracting Ltd is a full service home renovation company based in North Vancouver, BC, with an outstanding reputation for quality, flexibility, integrity and professionalism. Working across the North Shore and up the Sea to Sky highway to Whistler, Twin Lions works collaboratively with clients to create and bring their vision to reality. With no compromise on quality, Twin Lions delivers each project on time and on budget through meticulous planning and careful attention to detail. Forging enduring and trusting relationships with our clients is the foundation of our business. We are dedicated to providing the highest degree of service that not only meets but also exceeds our clients’ expectations…..every time, without fail. Please call us to discuss your unique requirements. We’re happy to meet in person too….and we’ll buy the coffee. We manage quality, skilled, trustworthy trades-people that our clients don't want to see leave. Our team will work with you to establish a budget and timeline that works with your needs and will communicate directly throughout the job process. With over 25 years of building behind us we have the experience that makes the difference. We aim to incorporate the design and build process together, so our customers can achieve the custom and personal results they are looking for, one that incorporates function and detail that is second to none. North Vancouver's leading Award Winning Custom Home Builder and Renovation Company. 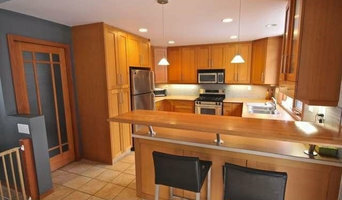 Specializing in Whole Home Renovations, Kitchen and Bathroom Renovations & Custom Homes on the North Shore & Vancouver Area. With over 20 years of experience, we have established a reputation for quality, workmanship, and excellence in service. We value our customers' vision and strive for perfection in providing you with professional, cost-efficient, and worry-free services. Whether you're looking to update a small condo space or build your ideal home, our team will ensure you are satisfied with your investment. At Goldcon Construction, we strive for quality, care, and perfection. Ensuring the satisfaction of our customers is our top priority, and so we continuously reach for the highest standards of excellence in craftsmanship. Our passion for the construction industry is fueled by the vision of our clients. From small-scale renovations to custom home construction, our team’s expertise and knowledge will ensure you have a worry-free experience and receive the ultimate value for your investment." We create spaces, renovate homes, and consult with clients regarding appropriate materials and finishes. We guide our clients through the process from start to finish with honesty. Our company is mainly in the business of mid- to high-end renovations, as well as custom home construction. We help our clients add value to North Vancouver's beautiful properties while aiming to exceed the high standards of our clientele. We also have the highest respect for our environment and practice responsible craftsmanship. Our services include new construction, renovations, kitchens, bathrooms, decks and exteriors, flooring, painting, commercial retail spaces, condos, and general contracting. Renovation contractor located in North Vancouver. Serving Vancouver and the North Shore for 25 Years. "Specializing in home renovations that adds luxury to your lifestyle and value to your home." Expert and professional renovation services including kitchens, bathrooms, interior and exterior finishing from one room to your whole house. Check out our website www.OnsiteRenovations.com to see all of our projects. As a renovator with a full 20 years in the business of renovations we pride ourselves in understanding each client’s specific needs., Based in North Vancouver we service the entire North Shore, Vancouver and Burnaby. Renovations are complex and require the undivided attention of the client and our staff, suppliers and trade partners. Combine all of those elements, add in careful planning by trusting a professional, and you are on your way to ensuring a successful project. 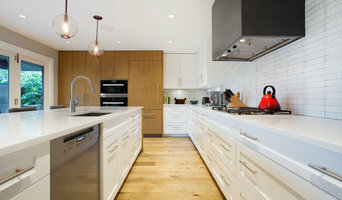 Vancouver's One-Stop-Shop for All of Your Renovation Needs 2X BOH! We work with our clients through the entire building process to ensure that it is a positive stress free experience. Included in our service is project design, budgeting, permits, surveying, engineering, all construction, interior and exterior finishes and clean up. Our projects vary in size and complexity from simple kitchen / bathroom renovations to major renovations, additions and new home construction. We strive to deliver appealing, functional designs which utilize the latest materials and products to create efficient livable homes. 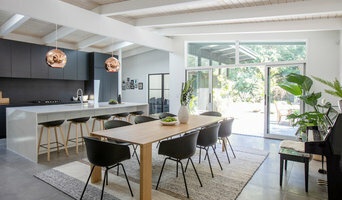 Kovet Design is a fun, forward-thinking interior design firm in Vancouver with a passion for creating truly unique and beautiful spaces with global flair. Avoiding the ‘cookie cutter’ approach,the firm takes pride in creating exceptionally crafted millwork and custom-made furniture pieces for its discerning clients. Kovet’s founder, Katie Schomaker, began her career in Vancouver more than 12 years ago, and has collected a wealth of knowledge and experience along the way. She has travelled extensively throughout the world and often draws inspiration from the places she visits. This is reflected in the fresh, eclectic design that Kovet is famous for. A ‘global curator’ of sorts, Katie has shopped the savvy streets of New York and wandered the bustling markets of Mexico and Turkey, sourcing one-of-a-kind pieces for client projects. Whether it's home concept development, or interior design work, Kovet Design can make your dream space a reality-call us today! Renovation contractor located in North Vancouver. Serving Vancouver and the North Shore for 26 Years. "Specializing in home renovations that adds luxury to your lifestyle and value to your home." Expert and professional renovation services including kitchens, bathrooms, interior and exterior finishing from one room to your whole house. Check out our website www.OnsiteRenovations.com to see all of our projects. design. renovate. paint The Design Den Homes Inc. is a design and renovation firm based in North Vancouver, British Columbia. Driven by its two main principles, Scott & Veronika Harrison, the company provides services to the North Shore, Vancouver, and beyond. Services include interior design, light renovations to full-scale home remodels, and interior/exterior painting services. Our Mission: to create and deliver beautiful, creative spaces which are functional, timeless, and tailored to reflect the needs, character, and lifestyle of our clients. If you or someone you know are in need of any of these services, please give us a call to discuss the project. Cirrus Homes is a residential design/build firm based in North Vancouver, British Columbia. We have been serving our loyal client base, as well as new clients on the North Shore and in the Lower Mainland for 25 years. We are green building specialists, registered with Built Green Canada. We implement the very latest proven methods in building envelope and 'House as a System' concepts. Our focus is on customer service, providing healthier, more efficient, lower maintenance homes on time and on budget. Our extended family of professionals, suppliers, subtrades, associations and services has been refined over the years to bring our clients the highest standard of home construction experience. We are passionate about building. We are students of a constantly changing and evolving industry. Comfortable in any aesthetic, our specialties include; Modern, West Coast Modern, Minimalist Modern, Asian, Arts and Crafts, Prarie Style and Craftsman. Hope you love what you see!